Are You The Control Freak In Your Relationship? We all control others in different ways but we may not be aware that we are being controlling. In your personal relationships, if you have children you may want to control their activities or their emotional responses. Or some people may want to control the finances, being overprotective, or friendships. How do you control… Peacefully or do you believe your way is the best way? 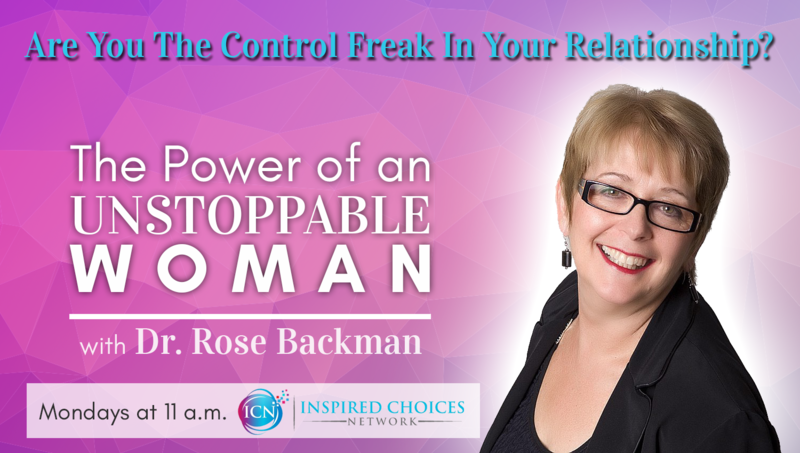 Dr. Rose Backman is a specialized emotional and physical kinesiologist who propels people out of their comfort zone into their POWER zone. As a mindset expert, she guides those who have a desire for change to become more of who they really are. Whatever you do……always have a voice, stand up for who you are and what you believe in. No matter what! Are you Afraid of Your POWER?